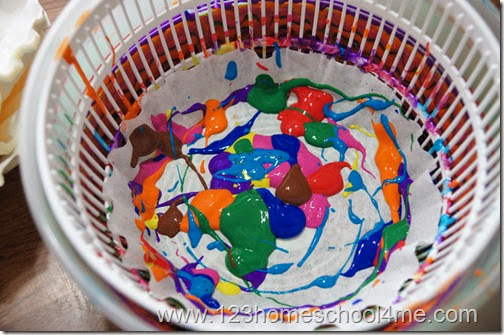 We came up this fun twist on spin art to make a beautiful spring flower craft for kids. 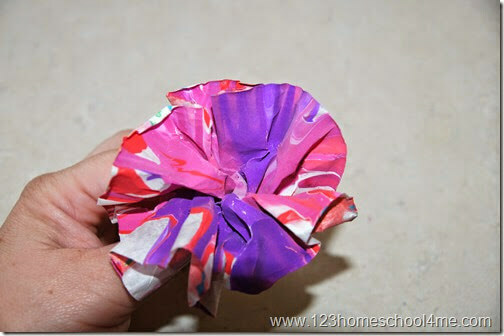 This beautiful spring flower craft for kids is so fun and easy to make. 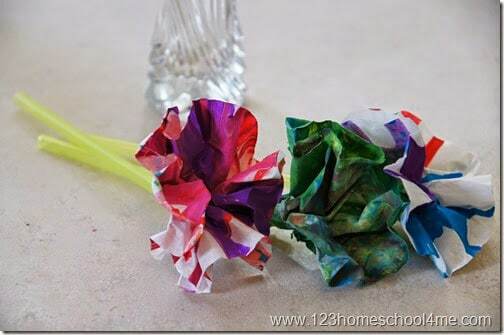 Your kids will want to make a whole bouquet of these pretty, unique flowers! Have you made spin art yet? It’s really easy & FUN to do. 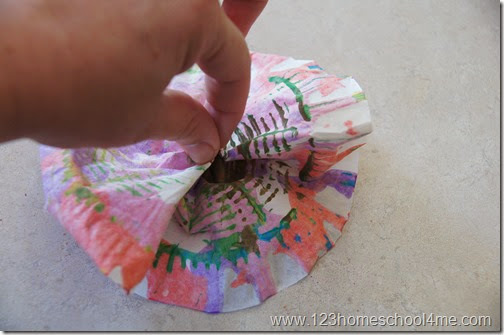 Put a piece of construction paper or a coffee filter like we did in the basket inside a salad spinner. Lots of small blobs in the middle or drizzling it across the paper works best. 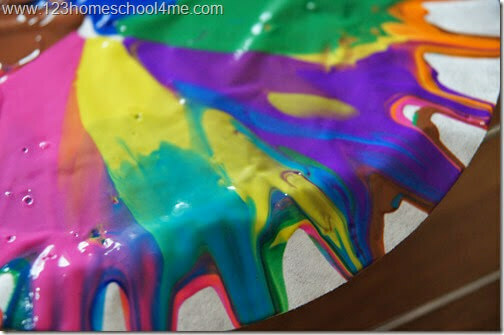 Don’t put too much paint or you’ll just end up with a big ball of paper and lots of wasted paint at the bottom. 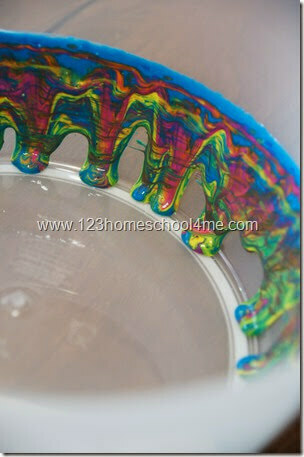 You don’t want to spin too long or too fast or the colors completely blend. 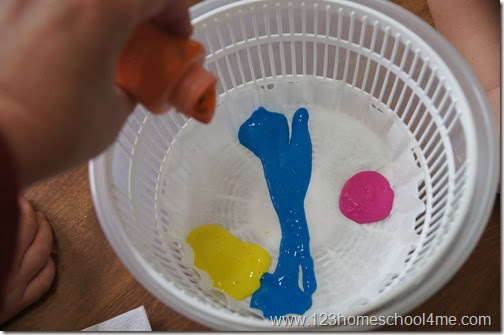 You want to do it 5-9 times slowly to create a beautiful mix of colors. 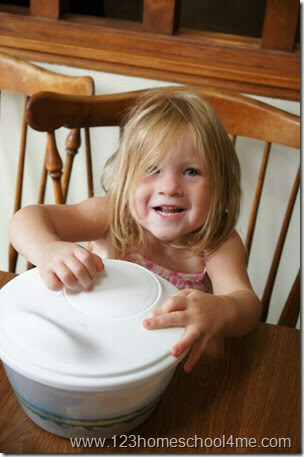 Don’t use your good salad spinner! Use one you find at a garage sale, your pitching, or you find at a dollar store. Pinch the middle on the underside of your spin art. 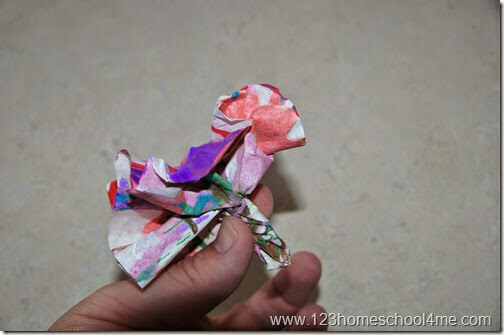 Now keep twisting the bottom and ruffling in the tissue paper together so it looks like a carnation. Here is a view from the side so you can see what the bottom looks like. The flowers make a lovely decoration for your table or a child’s room. 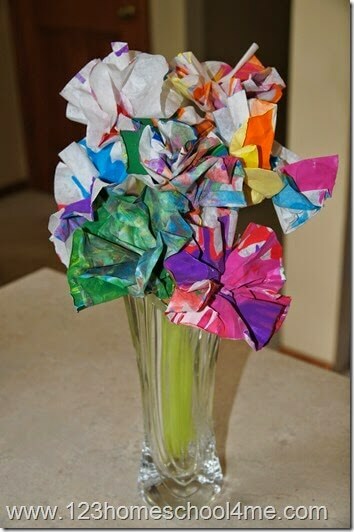 Best part, your child made them and you don’t have to water them!